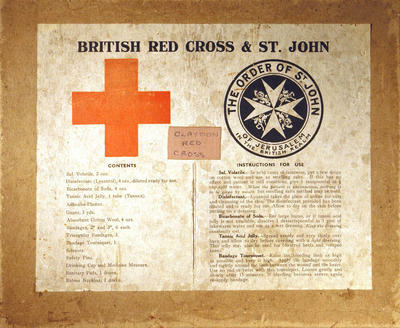 Tea towel with the British Red Cross emblem in top left corner and the green and white first aid symbol in the bottom left corner. The edges of the towel are decorated with the British Red Cross humanity rose. 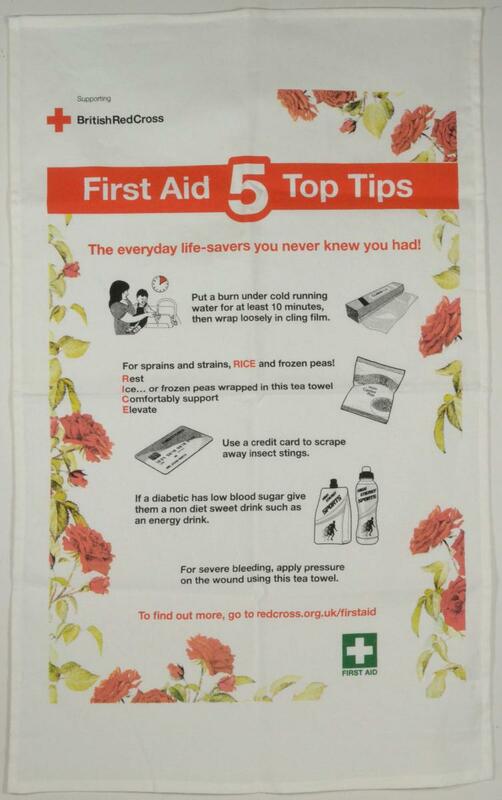 "First Aid 5 Top Tips" for dealing with burn injuries, sprains, insect bites, diabetes and bleeding printed on the towel. This towel was given as part of the welcome pack for delegates to the British Red Cross 2011 National Assembly held at the Manchester Centre.